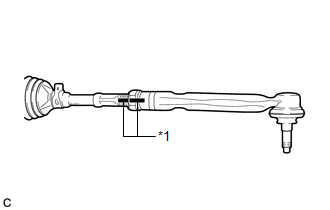 (a) Put matchmarks on the steering intermediate shaft assembly and steering link assembly. 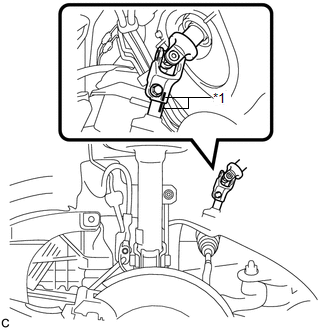 (b) Remove the bolt and slide the steering intermediate shaft assembly. 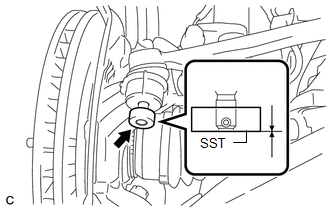 When securing SST to the steering knuckle, be sure to tighten the string of SST to prevent it from falling. 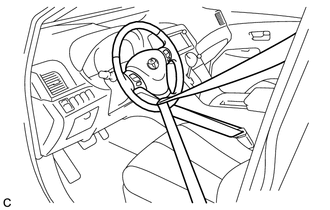 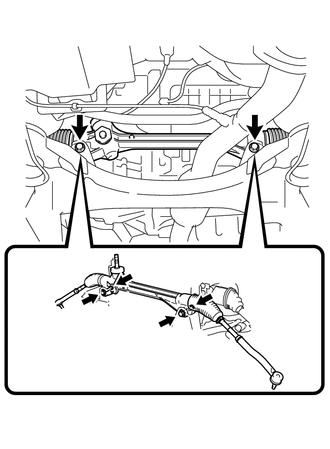 (a) Separate the front stabilizer bar with bracket from the front frame assembly. 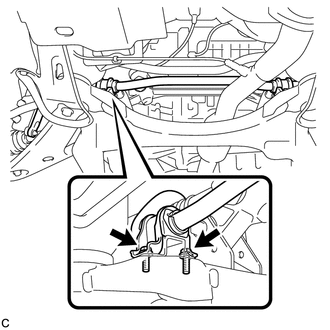 Use wire or an equivalent tool to keep the front stabilizer bar with bracket. 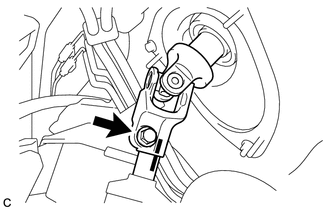 (b) Pull out the steering link assembly towards the left side of the vehicle while lifting the front stabilizer bar with bracket. 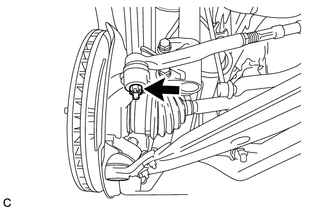 (a) Put matchmarks on the tie rod assembly LH and steering gear assembly.